My friend Nicole, bless her lovely lovely heart, recently returned from Japan and gifted me this bit of awesome. 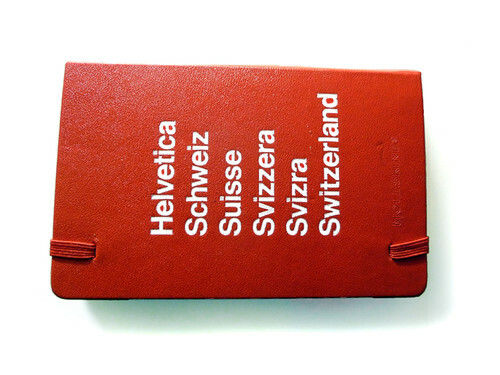 I am totally into Moleskine and Helvetica, and this is a wonderful marriage of both. This may be one of the most appropriate gifts anyone has ever gotten me. I am so in love with it, words don’t suffice. I haven’t written anything in it yet because I feel intimidated by it’s brilliance. I’m sure I’ll get over that soon, that is, it I can stop ogling it long enough to pick up a pen. Of course! It was too perfect to pass up. The exhibit at LaForet was awesome too! Um, that is AMAZING. Did Nubs see it yet? Wicked! I’m at a loss for suggestions of what to fill it with. It’s like a decorative candle that you can’t burn – unless you’re into droopy, half melted griffins. 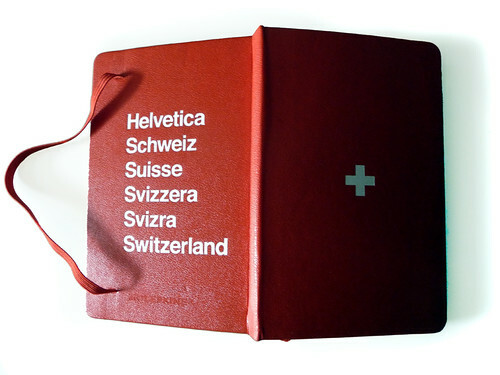 Wow – that is an amazing looking notebook! Hahah. Nubby would totally give her first-born for that. I wish I could get another one, but I guess they were only for the LaForet exhibit that Nicole linked above. Limited! That is absolutely stunningly amazing (and any other extraneous words I can think of!) I think I need one! That’s awesome.. I’d love one of those! Ummm…this is by far the msot awesome thing ive seen in a long while. This gift is brilliant. 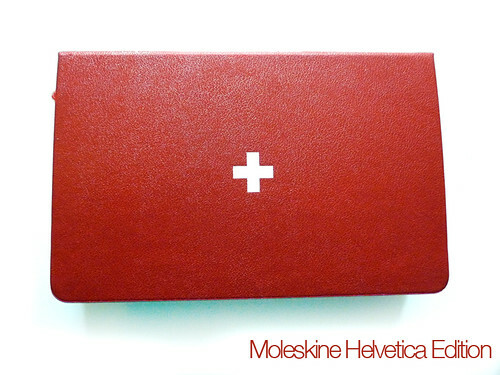 Mole­sk­ine and Hel­vetica are gorgeous together.